When the temperature goes down, the risk of freezing pipes in your home goes up. This can result in catastrophic damage to your home if action is not taken immediately. Water damage to a home is one of the most difficult to remedy. 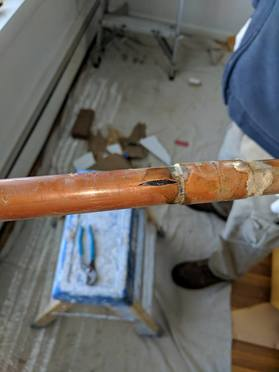 Many homeowners don’t realize that it’s not the first freeze that causes the burst or cracked pipes, it’s usually the thawing that will result in the damage. 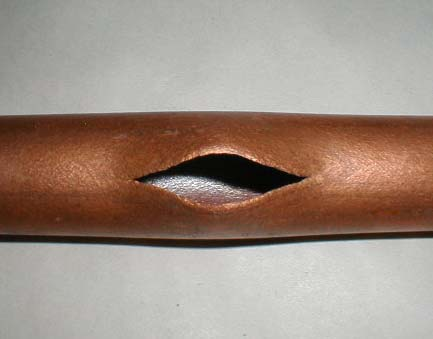 While water does expand as it freezes, when a clog in a pipe thaws, the water begins to move again within the pipe. When this water is then pushed towards a closed faucet or fixture by the ice in the pipe. This is the dangerous stage of thawing where a burst or crack will usually occur. Many scenarios can cause this to happen, but the most common causes will be inadequate insulation on the pipes, a malfunctioning thermostat, or lack of flow through pipes that will allow standing water to freeze. It’s important to be able to tell right away when your pipes are frozen so you can begin addressing the issue and hopefully lessen the possibility of damage to your home. Start out by thoroughly inspecting the pipes in your home, especially in colder areas such as the basement or crawlspace. Use a flashlight because it may be difficult to see the pipes in darker areas or at night. Look for frost forming on the pipes. This is a warning sign, and you should insulate these pipes. If your sink begins to smell, this may also be a sign of a blockage. Odors from your plumbing system will be trapped if they cannot properly drain and vent. While the obstruction may be caused by other problems, if it occurs during a drop in temperatures you will want to act quickly. A more obvious indication of a frozen pipe is reduced or stopped water flow out of faucets or other fixtures. You may notice your toilet won’t refill after you’ve flushed it on a cold night. Go through your home and open cabinets below bathroom vanities, kitchen sinks and turn on all the faucets to see where water may not be flowing. For example, if water is running to your kitchen sink but not the bathroom sink, the pipe between them may be frozen. If you determine that a pipe running to a faucet is blocked, still leave it open. This will reduce pressure on the pipe. If you haven’t identified the location of the frozen pipe between faucets and fixtures, begin checking areas where plumbing is exposed such as basements, crawlspaces and even in attics. A frozen pipe may change in appearance. Look for bulging, frost or ice on the outside of it. Does your home have outside faucets or spigots outside the house? These are also potential trouble spots, and while most are plumbed to ensure there is not water standing in the pipes, they are susceptible to freezing as well. Your pipe is frozen... Now what? If you’ve determined you have a frozen pipe, don’t panic! Depending on how widespread the problem is, you may take steps on your own to thaw your pipes. However, we recommend that you be prepared to call a plumber immediately if you find any leaks or burst pipes. It’s best to shut off your main water valve to the house and leave all your faucets on or open to relieve pressure on the pipes and drain water out of the system as much as you can. Open cabinets and interior doors to help facilitate warming up your home and turn up the thermostat. 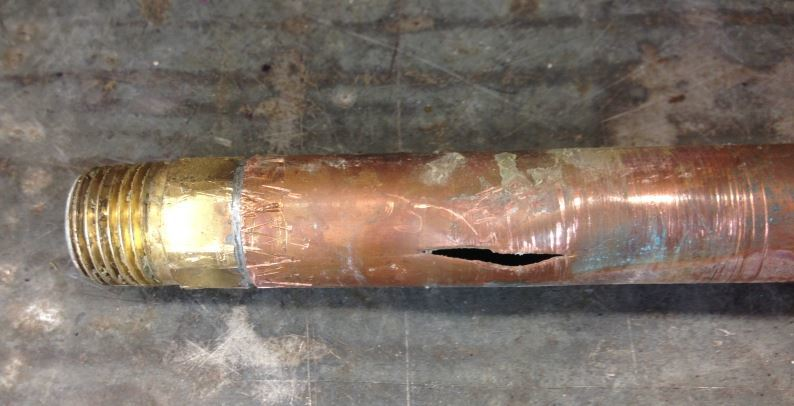 Remember-- most pipes burst when they are thawing out, not always when they first freeze. You should never attempt to use an open flame, torches, hair dryers, heat guns or other devices directly to thaw a pipe. Applying gradual, gentle heat to a pipe is going to be your best bet. You can warm a room or the area up with a space heater to increase the temperature around the pipe gradually. If you want to take a hands-on approach, we recommend wrapping a towel around the pipe starting closest to where it vents into a faucet or spigot. Place a bucket or dish pan beneath where you’re working and slowly pour hot water over the towel. If you are attempting to thaw out pipes, you’ll want to continually monitor all pipes and areas that you suspect have frozen or are blocked. When you’re ready to turn the water main back on, have one or two other people with you to walk around checking to see if water is flowing out of faucets and if there are any leaks. If you discover a leak shut off the water main immediately, and leave the faucets open in the lower levels of your home such as a mud room sink in the basement or first floor kitchen or bathroom faucets. Leaving these faucets open will drain your home’s plumbing of water and hopefully reduce the amount of water spraying from a burst pipe. If you’ve determined you have a burst pipe, it’s time to call a plumber to help you with the problem and mitigate any additional damage or cracks in your pipes. Your homeowner’s insurance should cover damage to walls, floors, furniture, and rugs due to burst water pipes. And lastly, remember while you may not be able to guarantee you’ll never have a frozen or burst pipe, there are lots of preventative measures you can take to keep your pipes safe. When temperatures drop, you may want to crank up the thermostat a little more than usual and allow your faucets to run at a slow drip or trickle just to keep the water flowing and moving through the pipes. Open cabinet doors below sinks and fixtures to allow warm air to circulate. And consider investing in insulation for vulnerable pipes. As always, feel free to call George Brazil Plumbing and Electrical if you have a problem. We're always here to help!